Want to perform at QLD Poetry Festival 2011? Over the past decade, QLD Poetry Festival has established itself as one of the most important poetry festivals worldwide. The festival has showcased artists such as Steve Kilbey (The Church), Hinemoana Baker, Emily XYZ, Mia Dyson, Shane Koyczan, John Tranter, August Kleinzahler, Jacqueline Turner and Dave Graney… so if you want your name on the 2011 Festival Program here’s what you need to do. 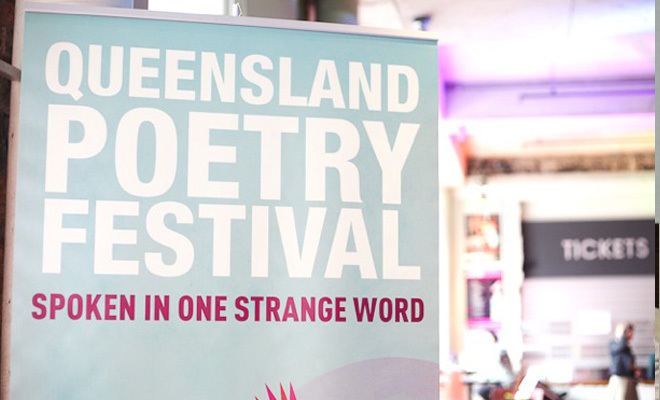 QLD Poetry Festival (QPF) is now inviting proposals from poets and other performers / artists interested in being part of the 15th annual festival. 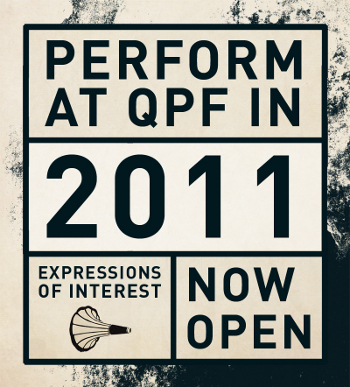 QPF will run from 26-28 August 2011 at the Judith Wright Centre of Contemporary Arts in Fortitude Valley, Brisbane. Full submission details are now available at: www.queenslandpoetryfestival.com. Expressions of Interest must be received by close of business, Thursday 24 February 2011. So spread the word people… blog it, facebook it, tweet it, open your mouth and shout it! QLD Poetry Festival 2011 wants to hear from you! There is a stage, a mixing desk, a producer and a tape duplication centre. While each band is playing, the other two bands mix the set live then send it to the producer (Danny Ford), where he creates 2 x master tapes. Those masters are then taken over to the duplication site (it dubs at 1000x the live speed), where the audience hand over a blank tape (yep, you are issued with 3 x blank tapes on entry, how old school is that!) and ask for one of the mixes (eg. Silver Screens mixed by The Rational Academy) to take home. Projects like this are incredibly inspirational as it is so much more than the live show. 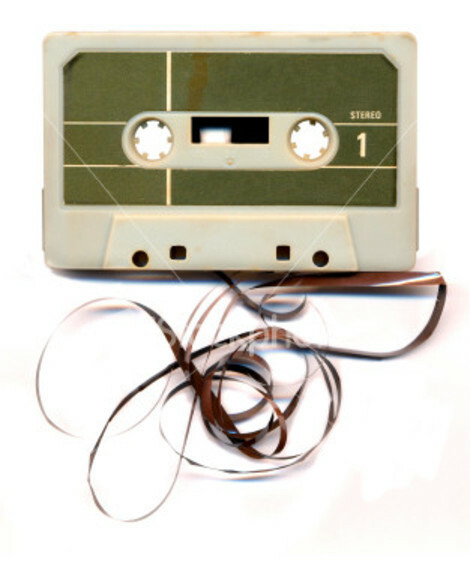 When I walked out the doors on Thursday night into the brisk Spring air, I was not only taking home a live music experience that was ear-splittingly good, I was taking home three different versions of the experience on tape and the feeling that I was part of the creative process. And to give you a taste of what I experienced, here is a clip of The Rational Academy performing Yellow Pony. Well the street press are brimming with interviews with some of the artists who are just days away from turning Brisbane into the poetry capital of this country. 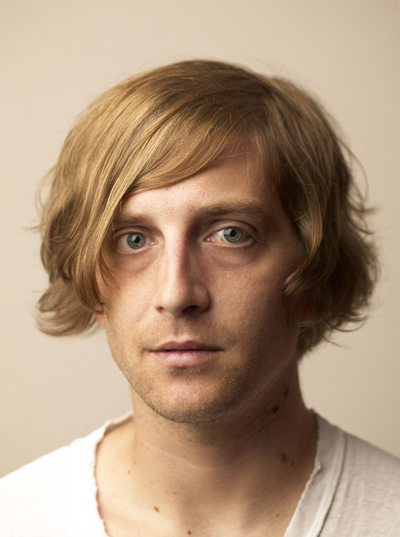 The Queensland Poetry Festival takes over the Judith Wright Centre next week; HERE HELEN STRINGER talks to one of its performers, Perth poet Jeremy Balius. The mention of spoken word poetry might conjure images of a smoky basement room filled with black-cloaked figures gently clicking their fingers in approval as a pale, malnourished, art school dropout woefully laments the demise of intellectualism in rhyming couplets and a dry monotone, but it’s a misconception that Perth-based poet and performer Jeremy Balius – soon to be in town for the Queensland Poetry Festival – is quick to dispel. The reality, he explains, is a lot more engaging and evocative than the traditional “Beatnik berets and black turtlenecks” perception would suggest. While performance is obviously inherent to all spoken word, Balius is particularly diligent in delineating between printed and spoken poetry. Indeed, he’s probably one of the few poets who can claim the dubious honour of having evoked a response so uncontained they’re forced off stage for fear of provoking a riot. Admittedly, the event in question occurred after a band Balius was performing spoken word with was mistakenly booked to play a Bhangra – a very specific type of Indian dance music – festival. Thankfully, audience responses are usually more positive and rarely involve violent retaliation. “My favourite response is not even a favourable one but I use it as my mantra. Someone came up to me and he said, ‘You should probably know that we don’t get people like you around here that often…I think I liked it but I don’t know if I should.’” It’s an apt mantra for a spoken word poet: I liked it, but I don’t know if I should. New York performance poet EMILY XYZ tells ZENOBIA FROST about her residency at The Judith Wright Centre. You could call Emily XYZ a punk poet – a brilliant spoken word renegade who’s been making words sound good for 30 years. Brisbane wasn’t even on her radar before 2006, when an invitation from the board of the Queensland Poetry Festival came “completely out of the blue.” The poetry community liked her so much that four years later we asked her back, this time as Queensland Writers’ Centre poet-in-residence – a coveted three-month stay in an apartment above the Judith Wright Centre to write and to engage with local poets and audiences. XYZ studied poetry in college (dropping in and out of a few degrees before dropping out for good), but found more inspiration in the music of Patti Smith and David Bowie than on the page. “Somebody lent me Ziggy Stardust when I was 17,” she muses, “and it just made sense to me – the whole idea of a concept album, something with direction.” So it was that words came to be “secondary to music” in Emily XYZ’s work. Rather than detracting from its poeticness (I hereby deem that a word), XYZ’s influences and aims culminated in a powerful, rhythmic style, further honed once she joined forces with performance partner Myers Bartlett. I was very much a beginner when it came to poetry in 2006, and until then I’d found more solace in print than on stage. Seeing XYZ and Bartlett perform was just damn cool, and certainly made me reconsider the way I thought about the sound and rhythm of my work, even on the page – but their 2006 visit spanned a mere weekend. This time we have 90 days to learn from Emily XYZ. Weekly workshops at Queensland Writers Centre have been such a success that XYZ hopes to extend the series well into September. Her performances around Brisbane have taken her from Avid Reader to SpeedPoets to alongside Ghostboy & The Golden Virtues at Swallow & Exit. Since 2005, QWC and QPF have been making sure international poetry makes a zing in the lives of local poets through the residency program, and each writer has left a unique legacy. One of Emily XYZ’s major writing projects is an unusual venture – a Twitter poem called 90 Days in Brisbane. Dip into it for a daily taste of her vibrant work: that ride home after workshop is sweet / focus over, story bridge is like a carousel & judy glows at other end friendly blue in the dark. And finally here is a link to another interview with Jeremy Balius in Scene Magazine. QLD Poetry Festival is only a few short weeks away and tickets for the opening night show, ‘Rupture the Silence’ are selling quickly. Rupture the Silence will feature readings and performances from Andrew Taylor (WA), Jon Paul Fiorentino (Canada), August Kleinzahler (USA) and Emily XYZ (USA). This event will undoubtedly be one of the highlights of what is shaping up to be one of the finest festivals in QPF’s 14 year history, so don’t hesitate… book your tickets early to avoid disappointment! And here’s a taste of what you can expect when QLD Poetry Festival 2010: spoken in one strange word kicks off and the silence is well and truly ruptured! And while you are at it, why not head on over to the QLD Poetry Festival website and check out the expansive list of artist interviews. Just click on the 2010 Festival tab for interviews with Jon Paul Fiorentino (Canada), Kelly Lee Hickey, Andrew Taylor, Jean Kent, Les Wicks, Martin Langford, Ross Donlon and many others. Happy listening/reading… see you at QPF 2010! Well the new year is well and truly rolling on and there is much to look forward to… one such event to lock into your diaries is the 14th annual QLD Poetry Festival: spoken in one strange word which takes place at The Judith Wright Centre of Contemporary Arts from August 27 – 29. Over the last 13 years, QPF has established a reputation in Australia and overseas as one of the finest poetry festivals. So if you want to get involved, now is the time to register your interest! The Queensland Poetry Festival is currently inviting proposals from poets and other performers/artists interested in being part of the 14th annual festival in 2010. QPF would like to hear from both individuals and groups for performances at the festival and for other projects in association with the festival. While all projects should have a relationship to poetic language, they encourage applications from artists wishing to explore the relationship between poetry and other art forms. Download the QPF EOI 2010 here or from the news page of www.queenslandpoetryfestival.com. For further information please email info@queenslandpoetryfestival.com.